The Introduction to Fiction and Poetry blog on 12Writing is meant to provide helpful lessons for beginning and intermediate writers looking to improve their work. 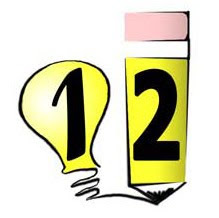 For a more in-depth look at my approach to teaching, please see my Workshop Philosophy page on the 12Writing homepage. The blog itself has developed from the three undergraduate courses I've taught, and the individual lessons tend to follow the chronological order of when I've taught them. If you're new to the site, I recommend following the links below to the topics that interest you. If you have specific questions, please feel free to post them to the 12Writing Facebook Fan Page. As a writer, you'll want to be aware of how genre affects the goals, expectations, and conventions of your work. Whether writing short stories or novels, you'll want to look at how narrative, clean prose, and other techniques of fiction can help you write a compelling story. Some think of poetry as "music for the page." With the right combination of imagery and rhythm, you'll be able to evoke powerful emotions in your readers. Whether you're persuading and audience or simply explaining "how to," you'll want to prepare essays which are clearly written and well-organized.